is boring, so this is going to be short. 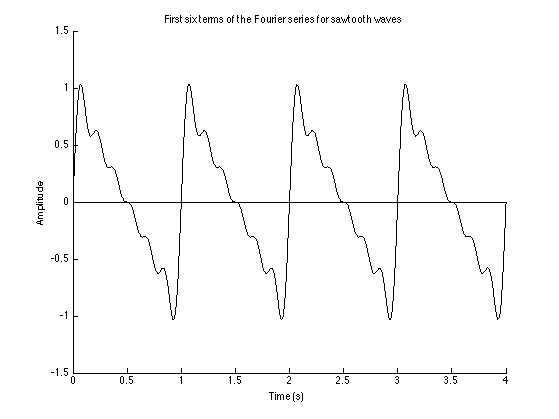 Basically, Gibbs phenomenon was discovered by a guy with the last name “Gibbs” when he saw that the Fourier series of nondifferentiable waves is least-good where the waves are not differentiable. Yeah…okay. So, when a wave has sharp edges/corners like a square wave or the absolute value function, the Fourier series representation will be infinite and have these little tail thingies sticking out at these corners and edges. Honestly, it’s not that surprising. These thingies are called “Gibbs horns” or “Gibbs’ horns” or if the writer just hates checking Wikipedia, “Gibb’s horns,” and the points at which they exist are usually called “jump discontinuities,” i.e., sharp edge corner things. Review featured in Keyboard Magazine! Stop the presses! Numbers and Notes is OUT!